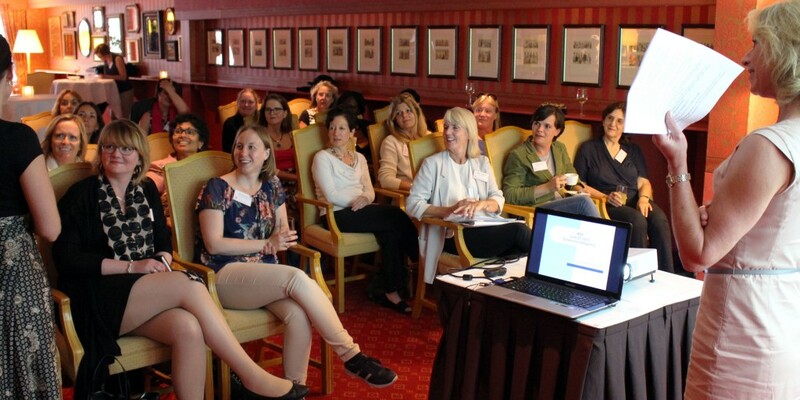 Along the motto: Learn, Engage, Support and Succeed we meet every fourth Thursday of the month, with a few exceptions, around guest speakers sharing their wisdom and experience on a business related topic with our members and guests. There is an opportunity to learn and grow, meet and engage with new people and exchange professional experience, motivation and support. One of our members also hosts a table to showcase their business. This is a fun and lively way to promote our businesses, practice our pitch, with the opportunity for attendees to do some shopping or discover a new service. Not yet a member? Feel free to join us as a guest and decide for yourself if this Association of enterprising women is something for you. Please don’t forget to de-register if you can’t make it after all. We need to confirm the number of attendees to the venue in advance. Please inform us at least 48 hours in advance if you are unable to attend.